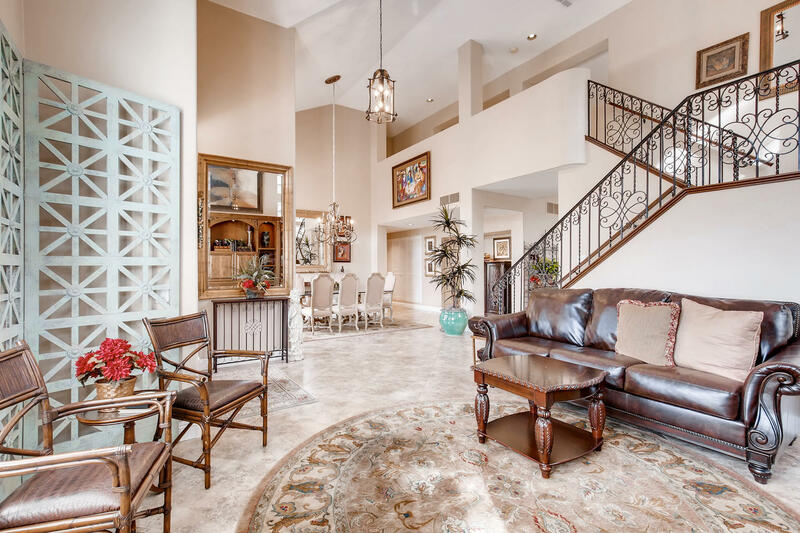 Lavish living awaits in this beautiful Las Vegas home. 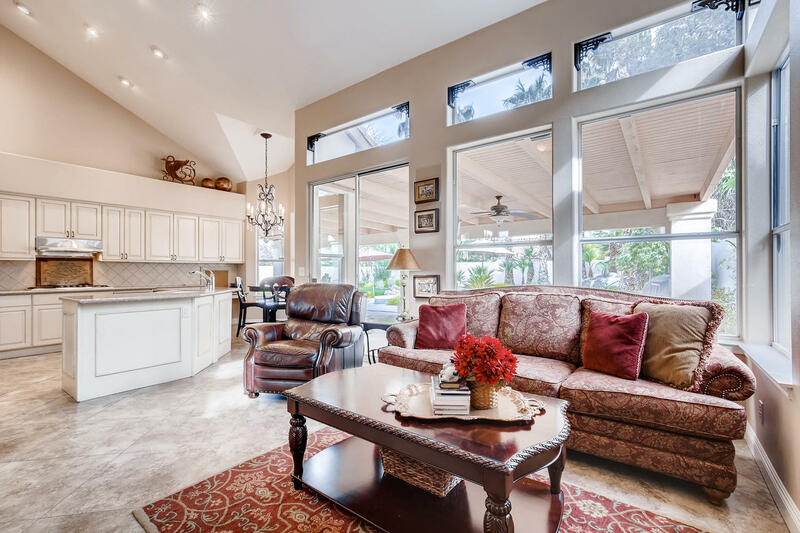 Enter 8305 Slate Harbour Circle, a charming 4 bedroom home boasting wonderful upgrades and splendor throughout. 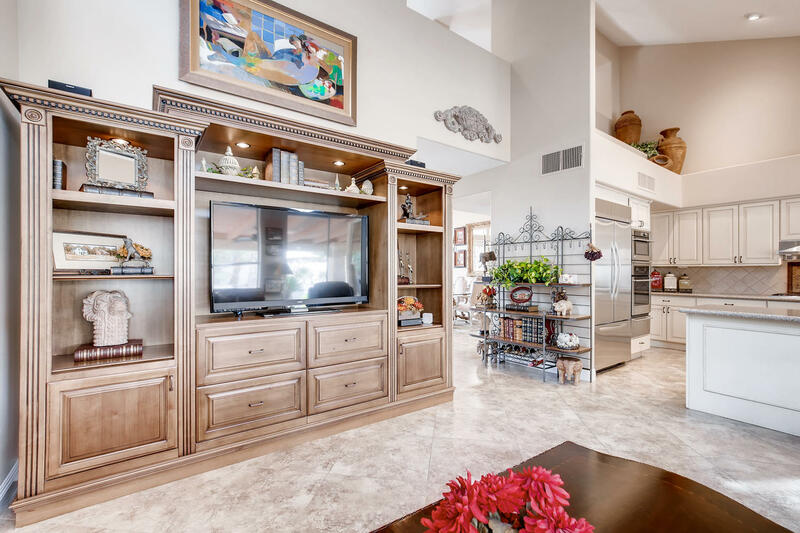 With over 2,700 Sq Ft of living space, this is a home built and designed for entertaining in mind. 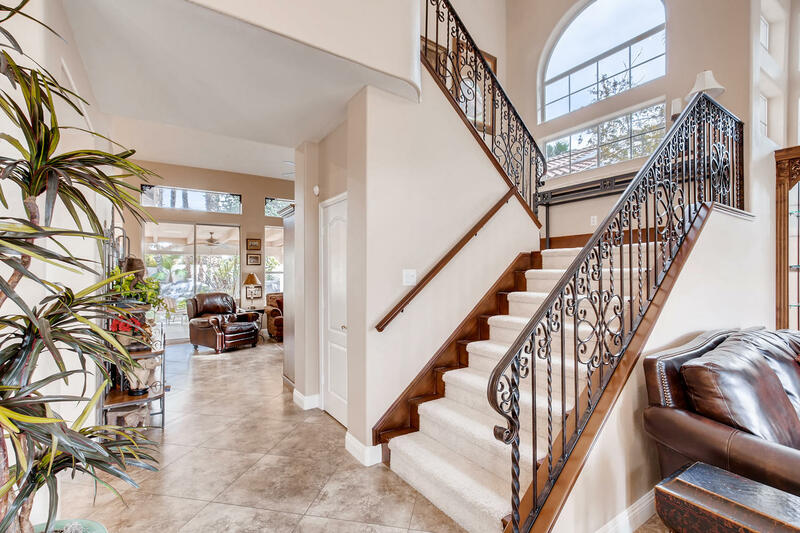 Beautiful landscaping catches the attention of all, framing this 2-story home in effortless grandeur. 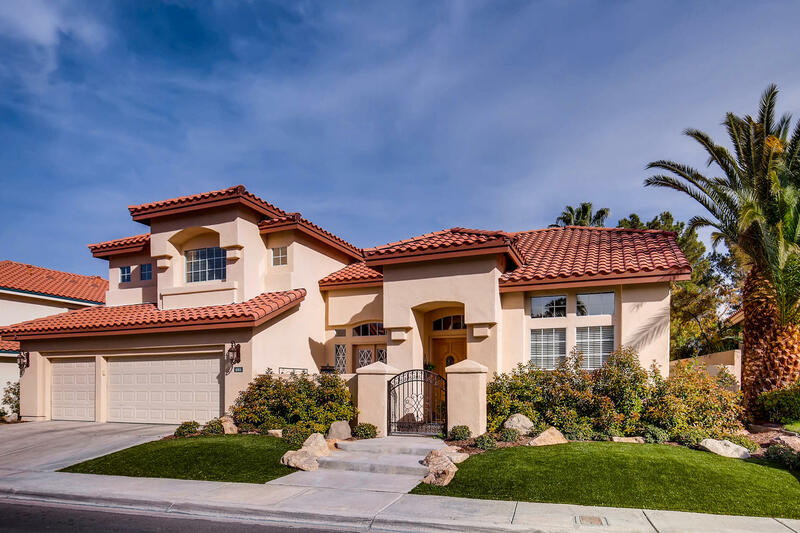 Inside you’ll find a phenomenal floor plan offering 2.5 bathrooms and 4 bedrooms, with the master conveniently placed downstairs. 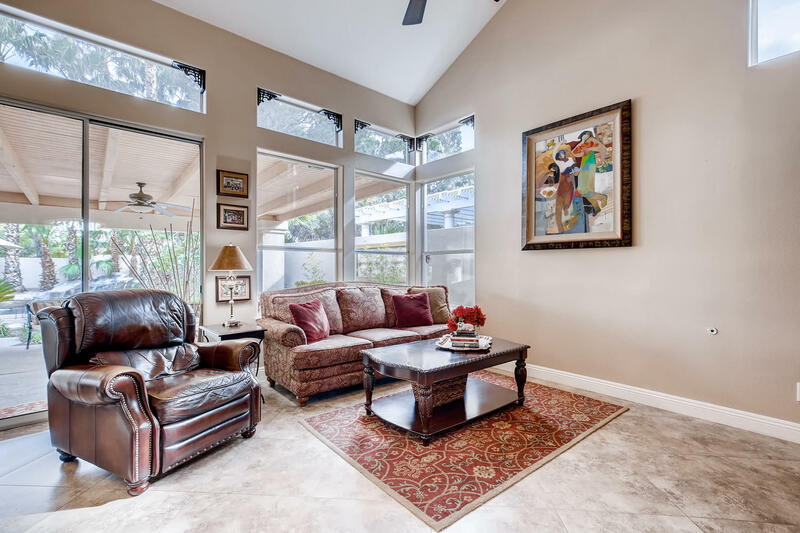 Vaulted ceilings and exposed wood beams add drama throughout. 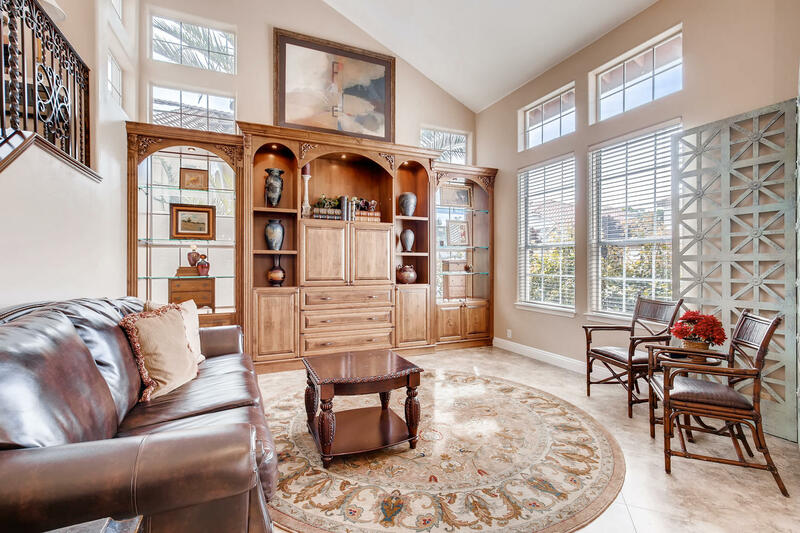 Large windows allow plenty of natural light and views of the outer landscaping. 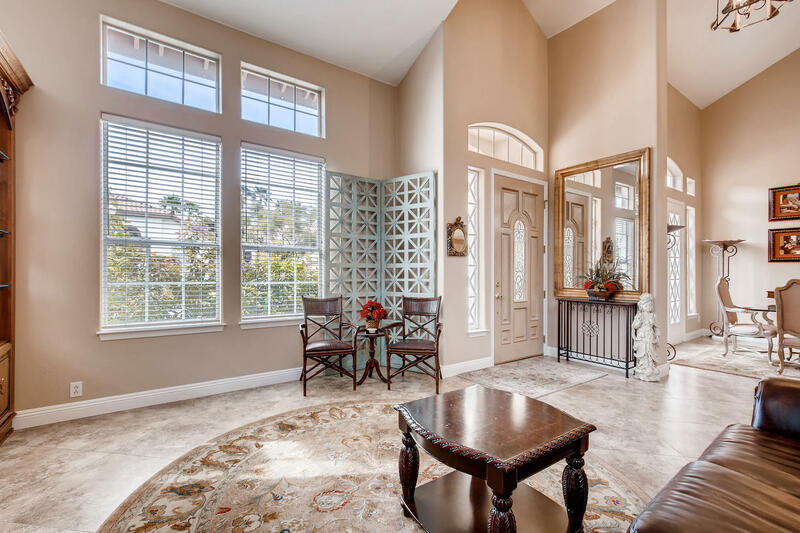 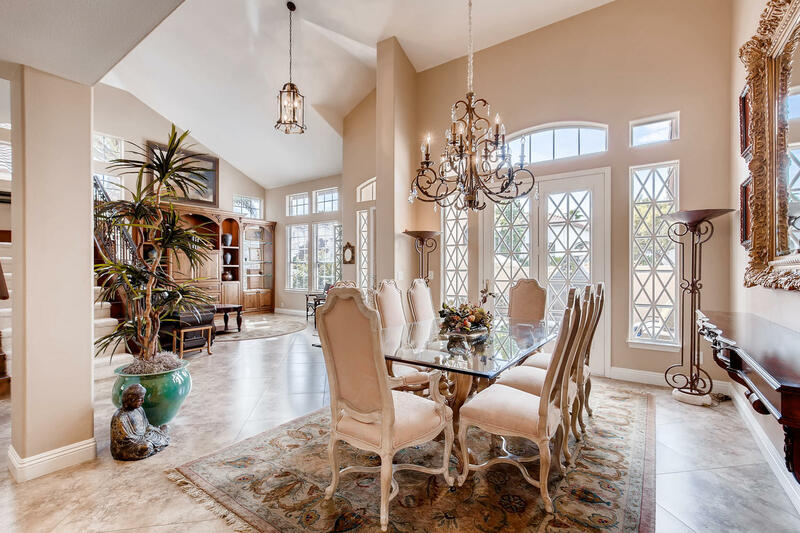 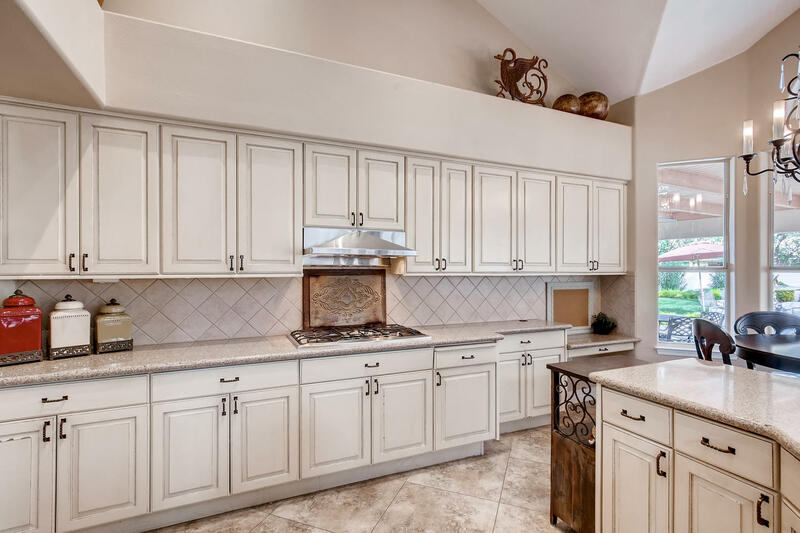 From it’s custom cabinetry throughout, to the dream palatial backyard, this home offers it all. 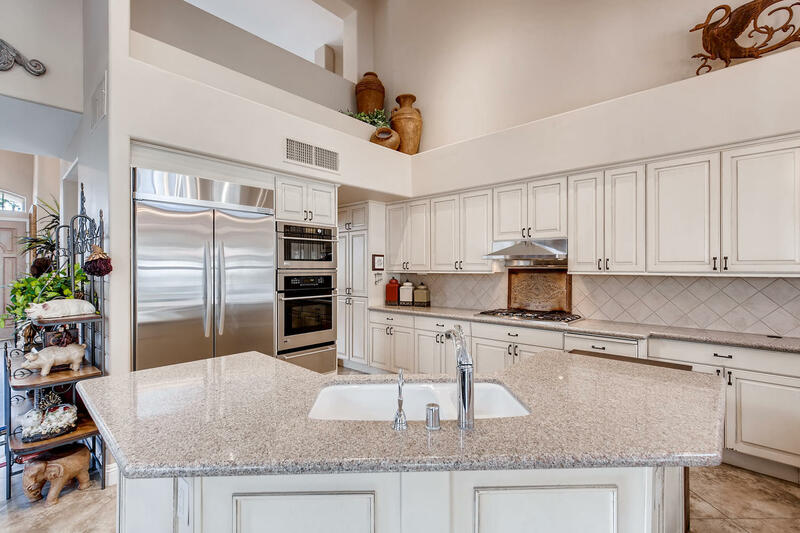 The kitchen features a designer appliance suite and elegant cream cabinetry. 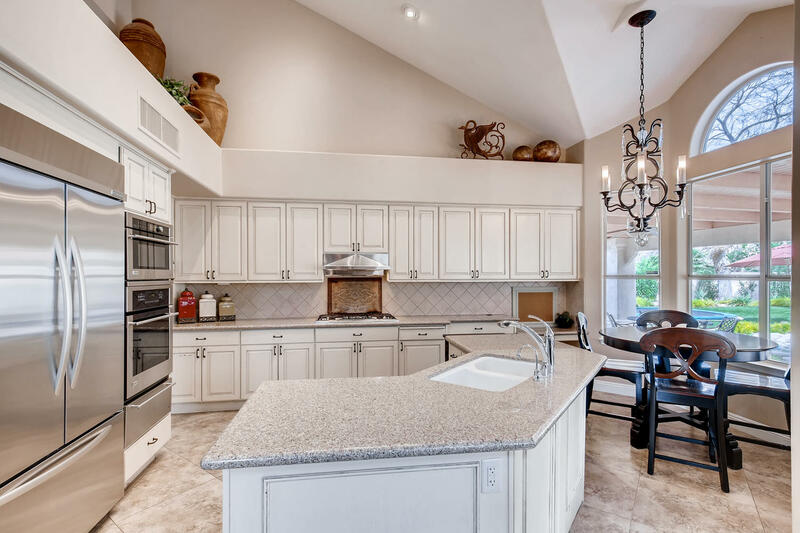 Slab granite counters and offset tile backsplash hint at this home’s charmed nature. 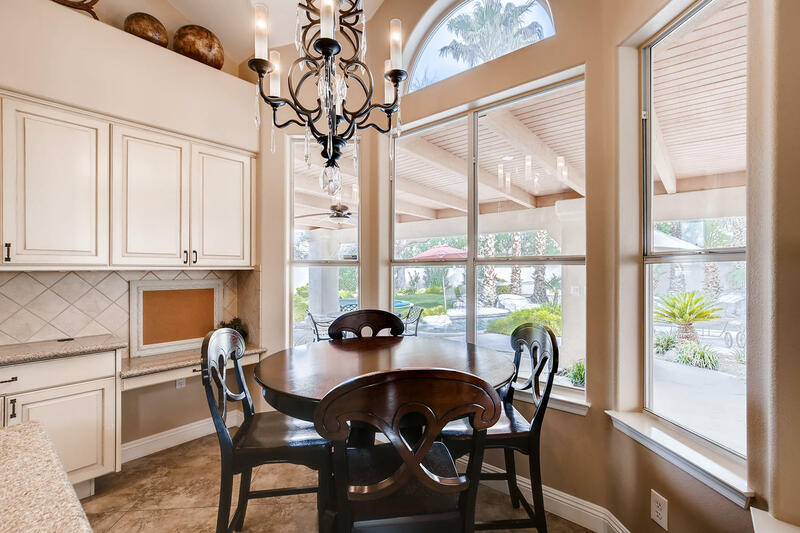 A dinette overlooks the backyard, where adjacent patio doors lead to the ultimate entertainer’s sanctuary. 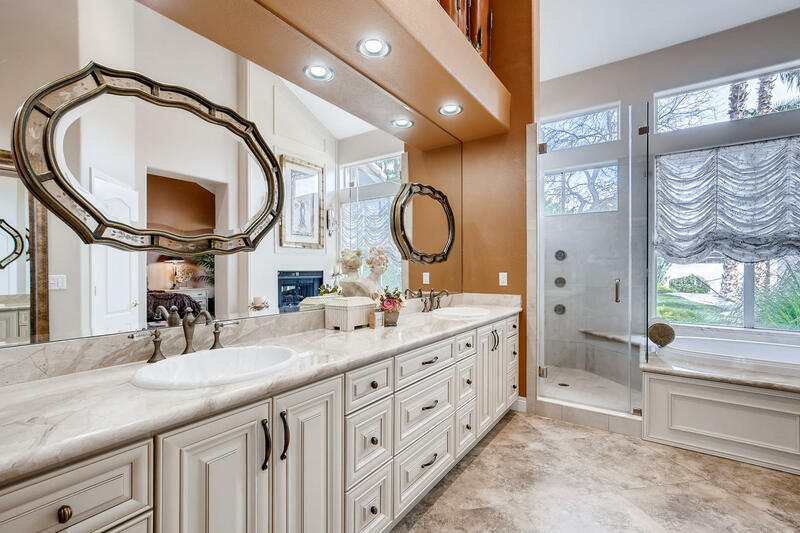 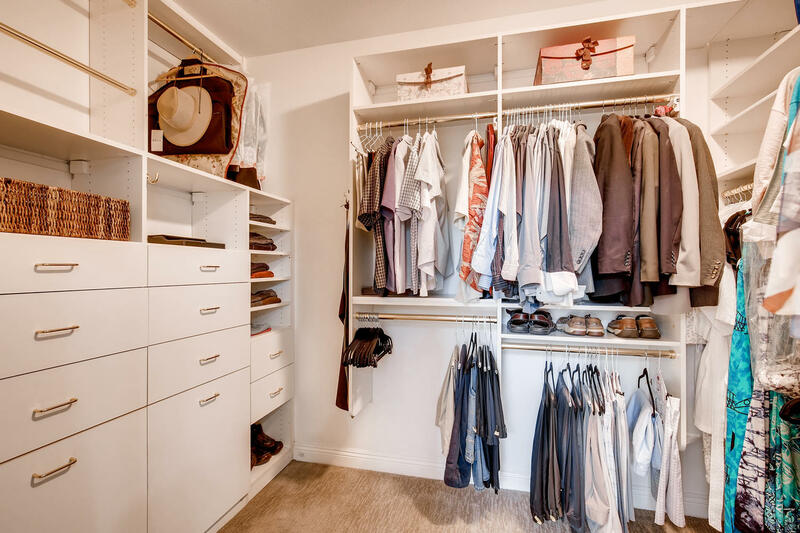 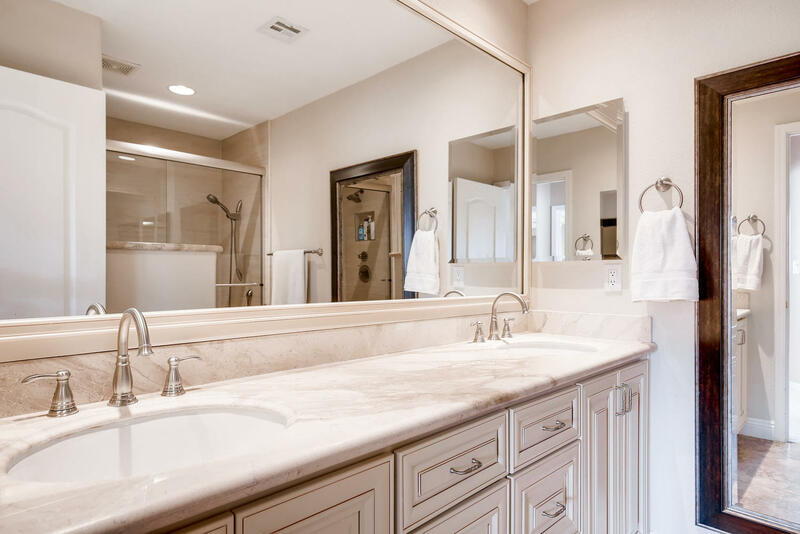 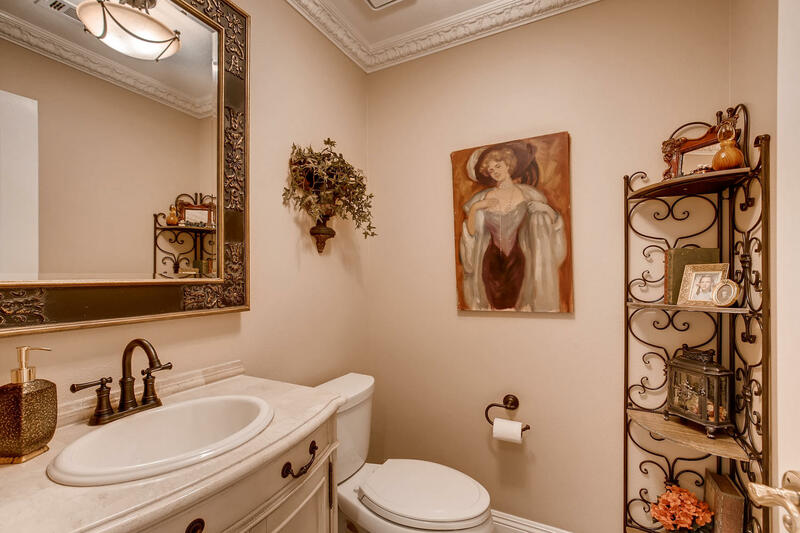 Complementary cabinetry can be found throughout this lovely home from the master suite to the powder room bath. 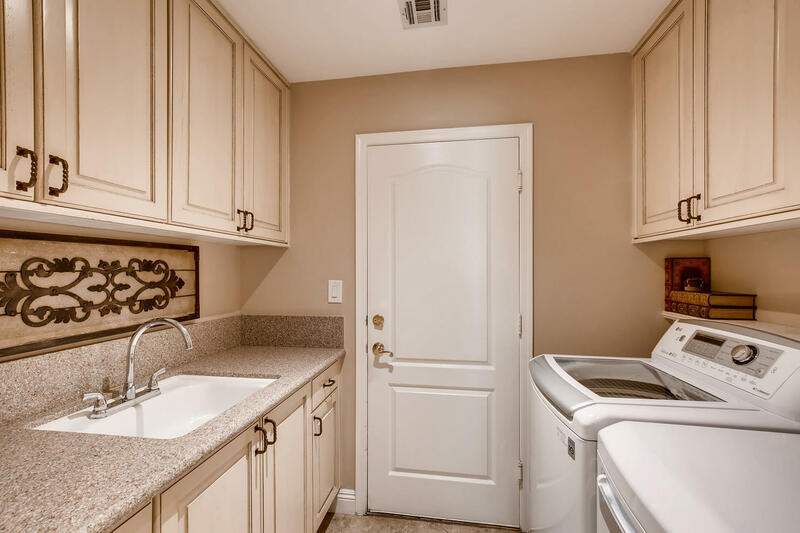 Even the laundry room received a tasteful makeover. 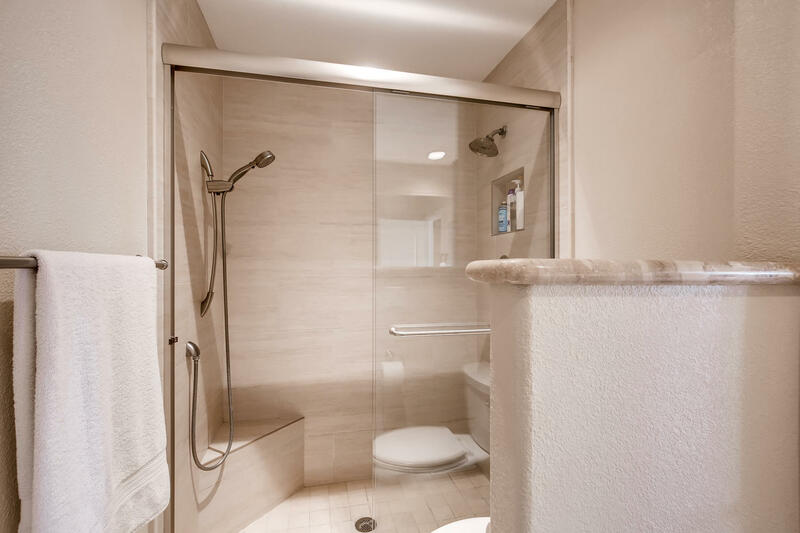 In addition, new tile work adorns the bathrooms, with the master bath boasting a lavish walk in shower surrounded by ornate millwork. 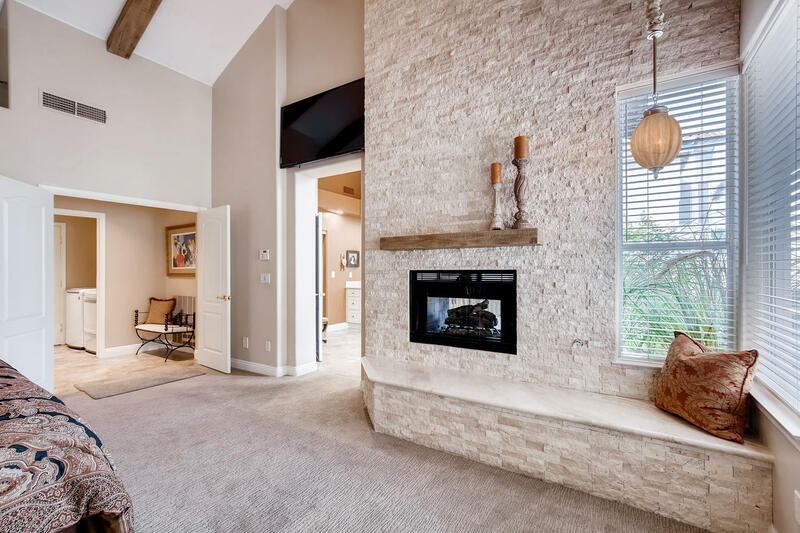 The master bedroom features textures stonework around the 2-way fireplace, as well as a stone trimmed bench seat. 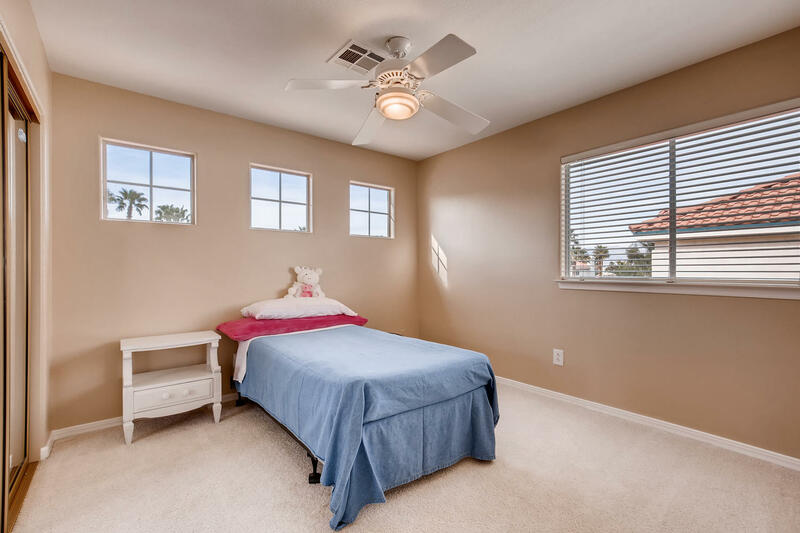 Rounding out the 1st floor master suite is a very private terrace, accessed through double doors and separate from the rest of the home. 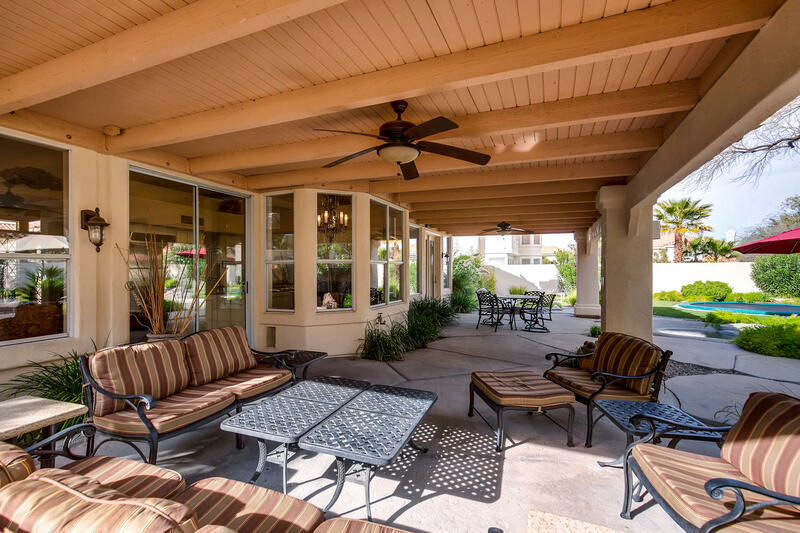 An oversized covered patio provides 24/7 protection and enjoyment of the expansive rear, where you’ll find a slope-entry pool surrounded by mature landscaping. 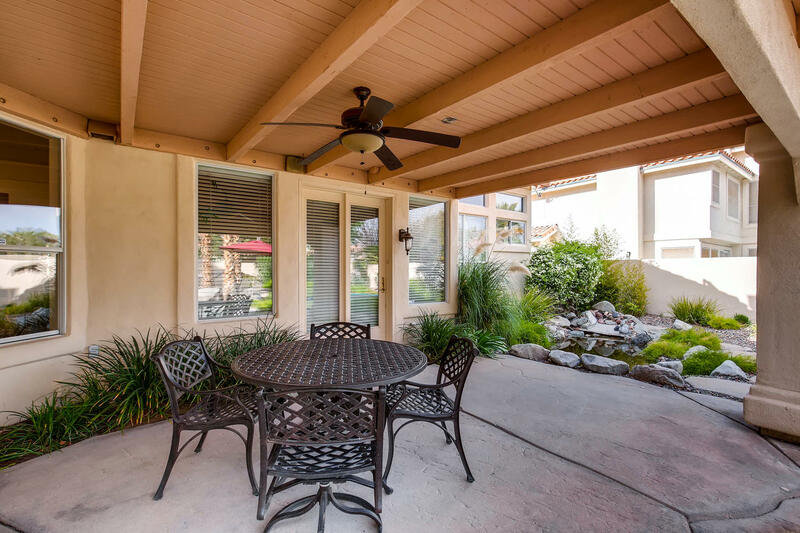 Tall palm trees line all that the eye can see, and just to the left is an in-ground trampoline. 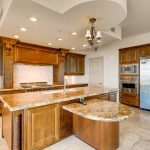 This beautifully designed home is located in Desert Shores, a premier community located on the West side of Las Vegas, Nevada. 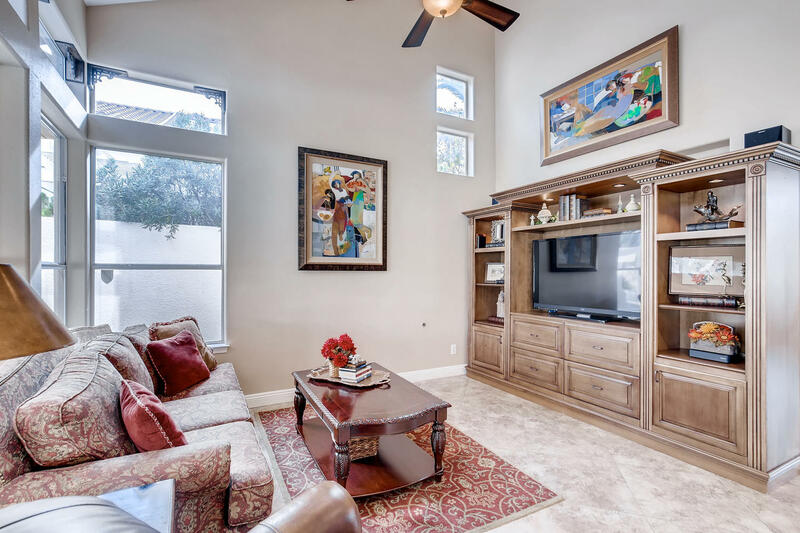 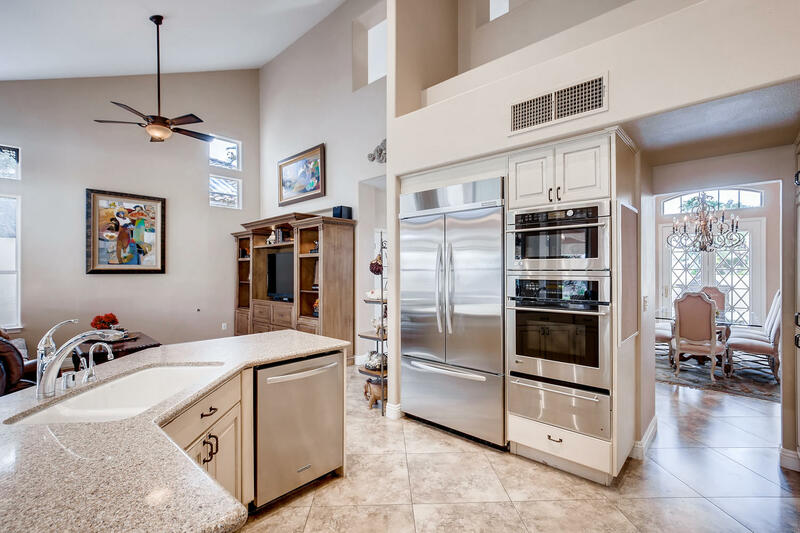 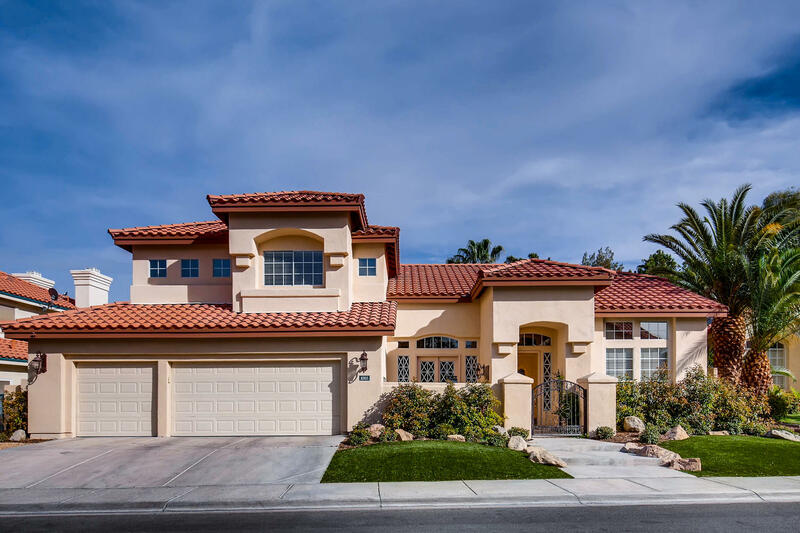 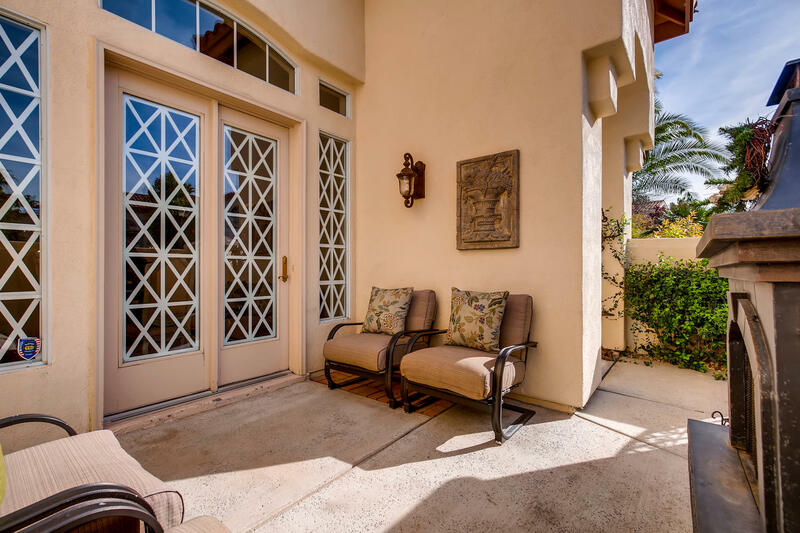 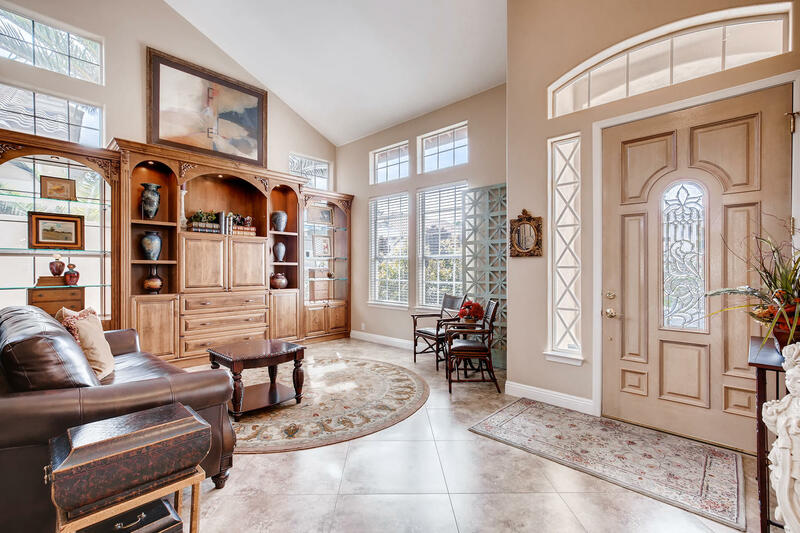 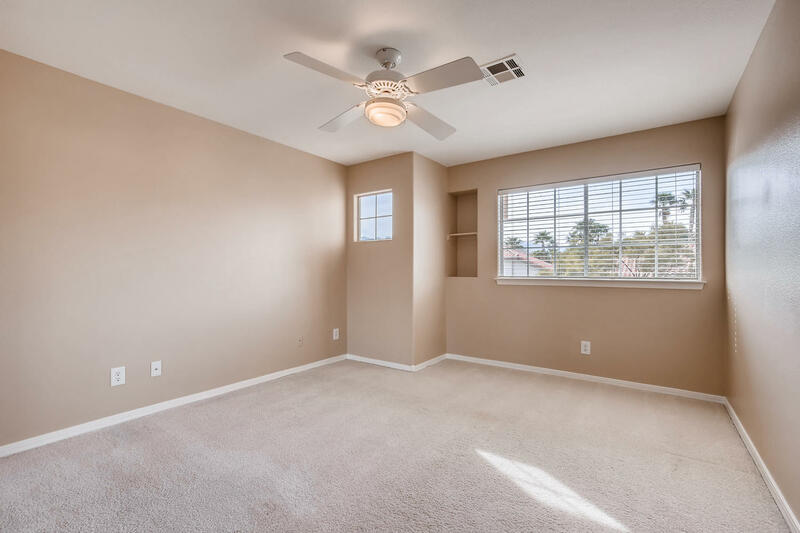 Situated among plenty of shopping and local eateries, this home is ideal for those looking to enjoy the contemporary suburban lifestyle Las Vegas is know for the world over.